AV Comparatives awarded avast! Mobile Security for its malware protection and highly developed theft-protection. Most people would not dream of neglecting the security of their PCs or laptop, but those same folks forget that the device in their pocket is just as powerful, if not more so. You’ve heard it before –your expensive smartphone, which stores personal data, private photos, Internet banking information and even company data, is an attractive target for cybercrooks and thieves. AV Comparatives, an independent organization which tests antivirus products and mobile security solutions, released new testing results and gave avast! 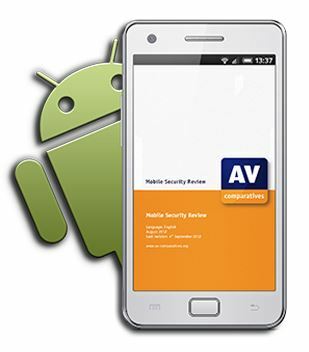 Mobile Security the highest “Approved Award” for Android security products. avast! Mobile Security has a wide range of features with innovative functionality. We particularly liked the wide range of configuration options and remote commands, which provide the user with a comprehensive remote control function," wrote the authors of the final report. Avast! Anti-theft is a stand-alone app that can be installed separately from avast! Mobile Security. The app is hidden from view, and can be accessed remotely for functions such as lock, locate and wipe, redirection of calls, texts and call logs, etc. In addition to the malware and anti-theft protection, AV Comparatives liked the standalone avast! Mobile Backup which enables personal data to be backed up to Google Drive. The Backup, App Locker and Privacy Scan features, which were promised last year, have now been implemented and complete the program's functionality. (avast! Mobile Security) is a very comprehensive security product with a wide range of configuration options. Protect your Android smartphone and tablet with avast! Mobile Security and Antivirus from the Google Play store.